Suzy Ultman is one of my favourite illustrators. Her images are whimsical and colourful, with a modern take on a retro vibe. Characters are odd and cute, without being cutesy. I’m not even sure if that makes sense–all I know is this: her images make me happy. I’ve been slowly collecting Suzy Ultman fabric, using elements as patches for my airplane activities envelope and teacher gift bags. When I spotted this fabric on sale at Hawthorne Threads, I snatched up 2 yards. 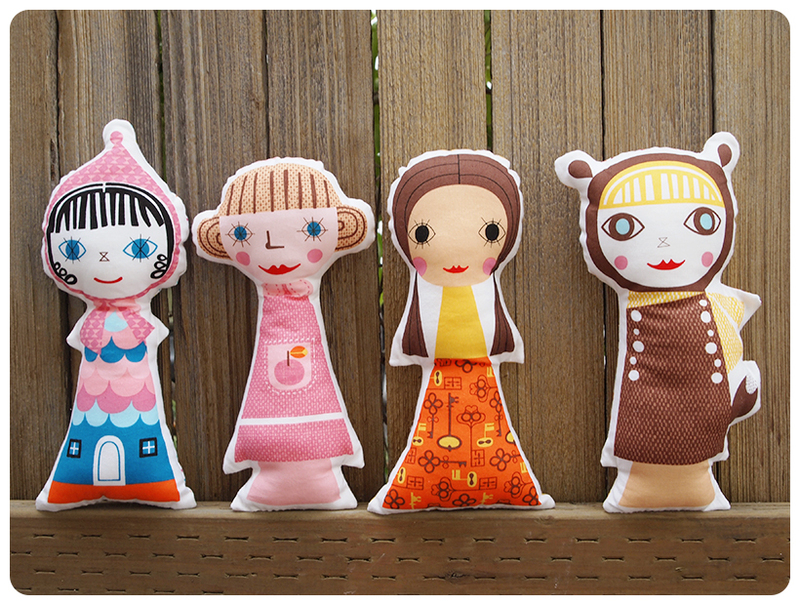 Each doll measures about 10″ tall, perfect for small stuffed dolls. Last week, we had friends over on a playdate and the littlest was celebrating her 2nd birthday. 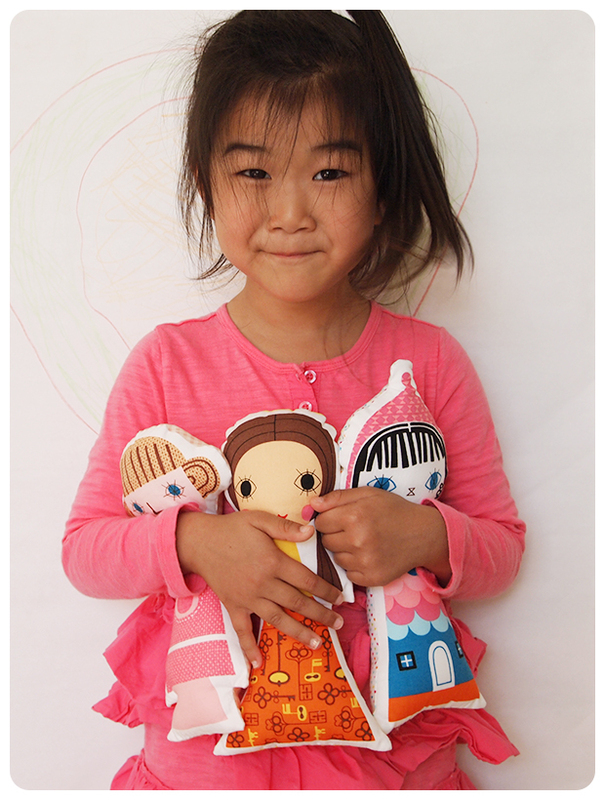 I quickly sewed up 2 dolls and Froo decorated a birthday gift bag. It was all very last minute and I forgot to take a photo. 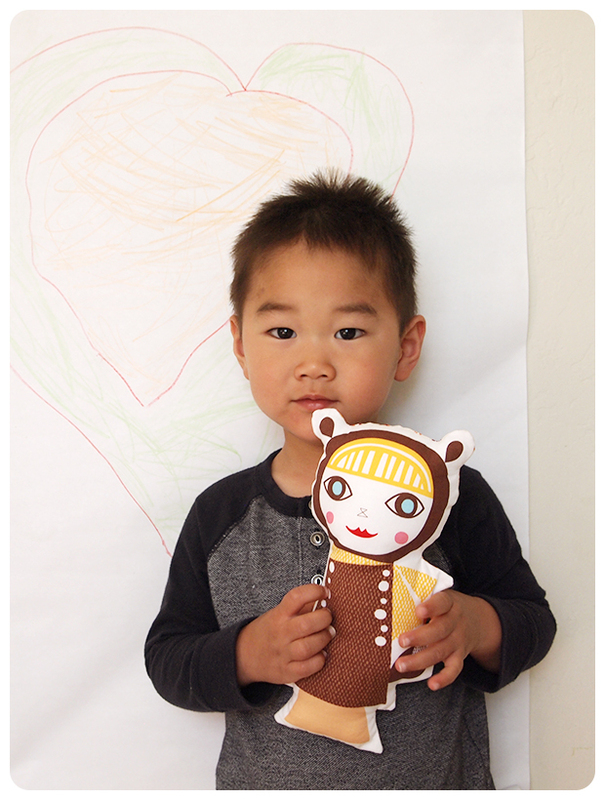 Boo wanted one too–he kept trying to steal the birthday girl’s dolls, saying, “my birthday!”. 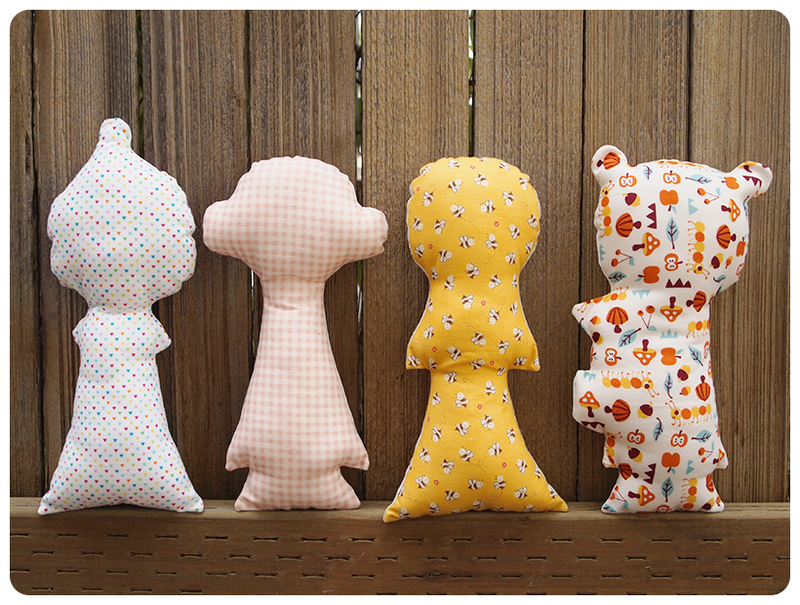 I picked a doll wearing a squirrel costume, just so I could use Festive Forest by Allison Cole for the backing fabric. 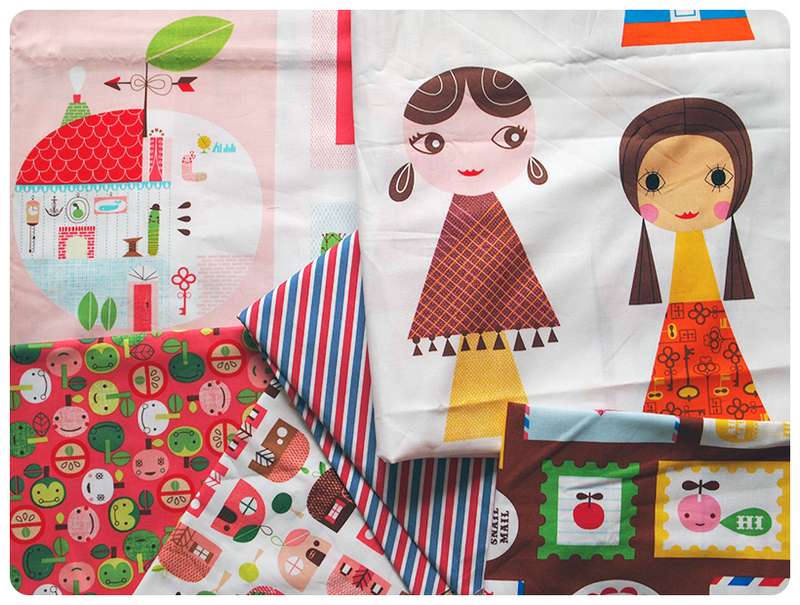 Froo has a great eye for fabric selection. I guess I buy fabric that suits my style, so inevitably, everything matches, but I would have chosen other prints scraps that needed to be used up. The colourful hearts on the white background is from Novelties, by Timeless Treasures. The pink gingham is from Fly a Kite, by Riley Blake–leftover from Froo’s quilt. 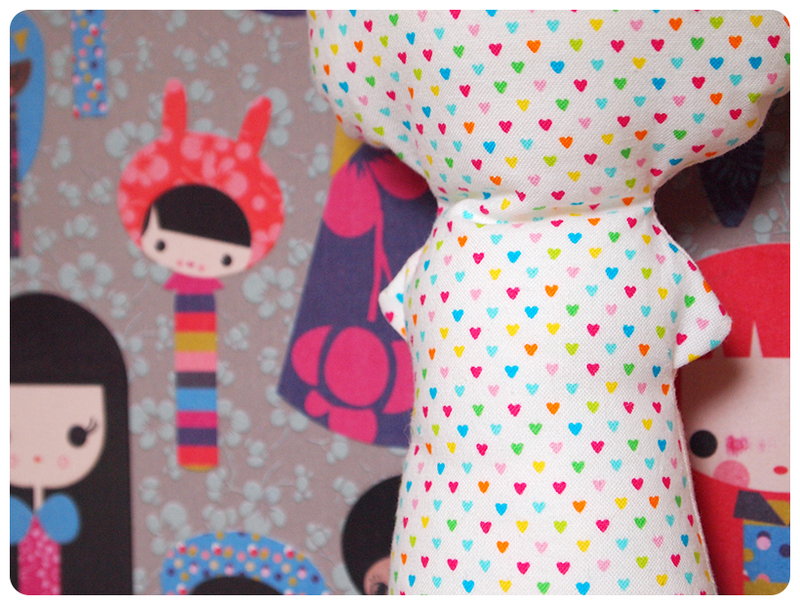 The yellow bumblebee print is from Lecien, I had one fat 1/8 of it and used it up on 2 dolls. The last one is the one I chose (which is why it doesn’t match the others). 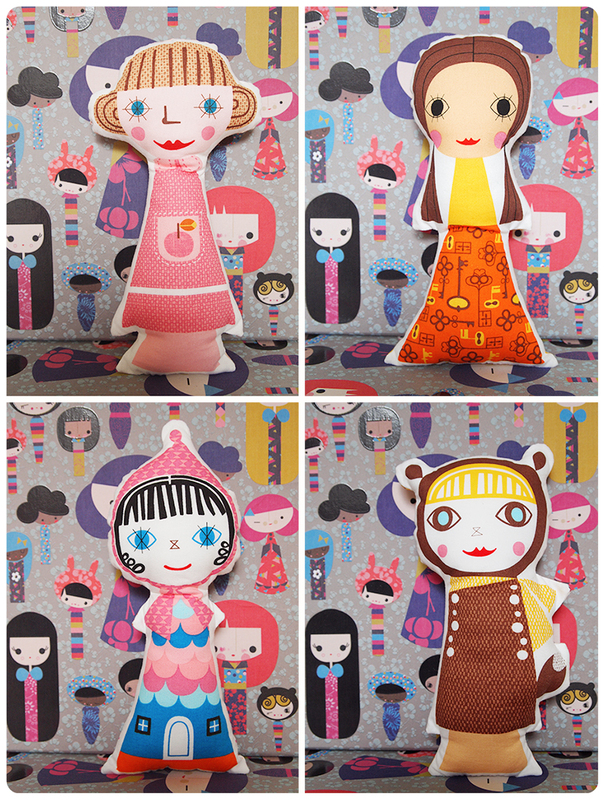 I took solo shots of each doll, since they seem to have their own little personalities. The dolls are on top of boxes by Paperchase for Target that I bought last winter. Eek! Have you seen a better looking tank blouse pattern than the Datura? 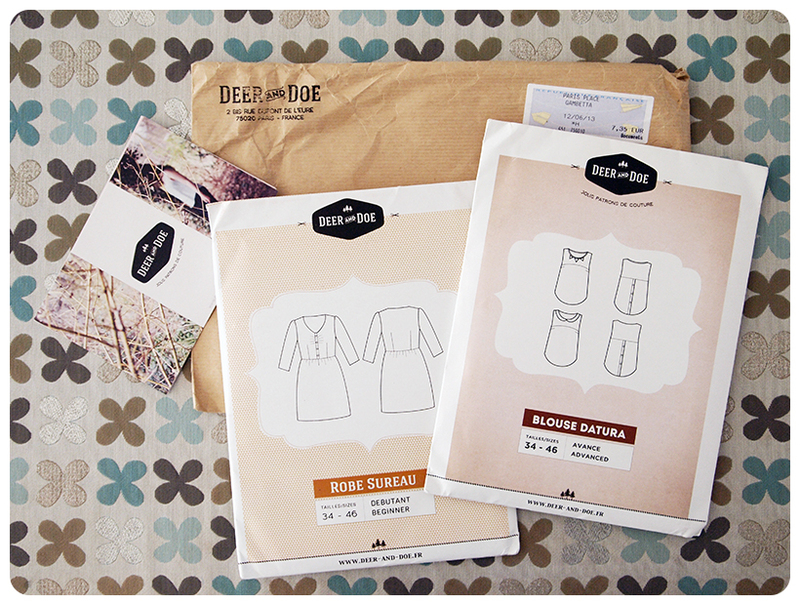 I added the Sureau dress at the last minute because it’s not everyday that you receive mail from France. Besides, I love a dress with 3/4 length sleeves. I can’t wait to get started! 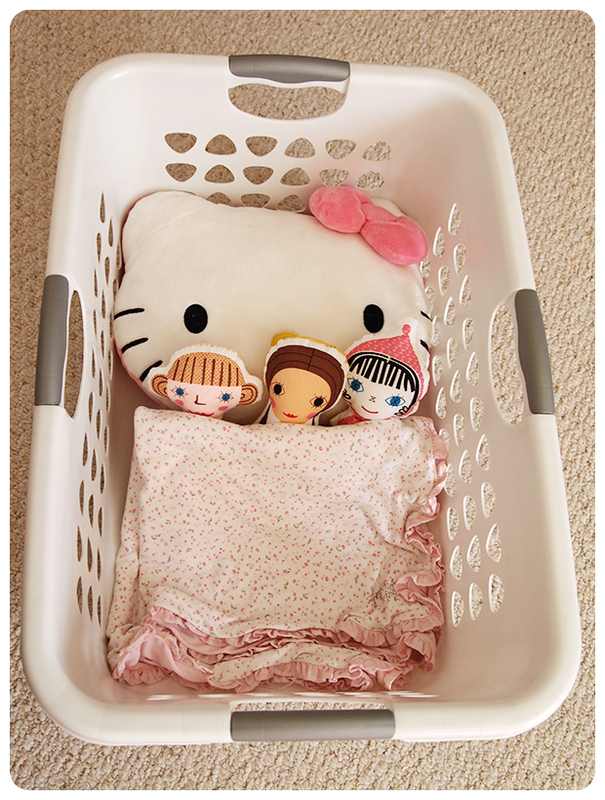 Irene, the photo of 3 dollies napping is hilarious! 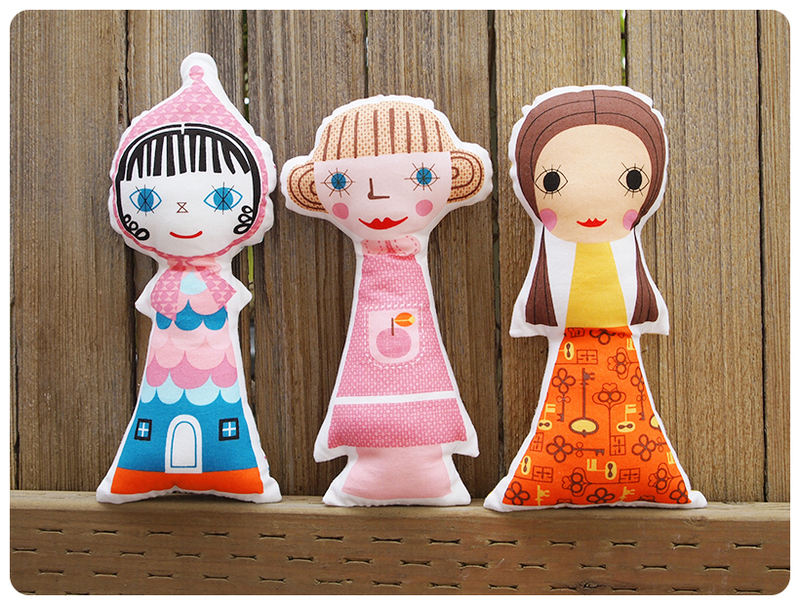 🙂 Can’t wait to see your summer sewing projects! I just caught up with reading your blog; how the children have grown! Though I’ve never met them I feel an affection for them as I watch their progress. From your blog also I realised that Amy turned 60 – always thought she was way younger! Mary, you are welcome to come for a visit anytime to meet the kids! Aw, thanks Lucinda! I hope to start on my Datura blouse soon!